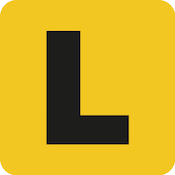 To get your learner car licence you must pass the Written Road Rules Test. The resources on this site should help you achieve this. You must also be 16 or older, prove your identity, be medically fit to drive, and pay the licence and test fees (we can’t help with this). When you pass the Written Road Rules Test, your learner licence is issued for 3 years or until you get your Red Ps (provisional P1 licence) or Green Ps (provisional P2 licence). Your learner licence can be renewed after 3 years, with your Written Road Rules Test pass mark valid for 5 years. In addition to following the road rules like all road users should, there are specific rules associated with a learner licence. Disobeying these additional rules could result in heavy fines or loss of licence. Mobile phone Learner under 25 - Not allowed unless vehicle is parked and supervisor and passengers are not allowed to use loudspeaker function. Learner over 25 - Normal restrictions apply (no phone use while held in the hand - only hands-free, wireless and loudspeaker). No restrictions on supervisor or passengers. Before taking the Q-SAFE Practical Driving Test and moving to a provisional licence you must have held your learner licence for at least 12 months, have completed the log book with the required hours (unless exempt) and be confident in your ability to pass the requirements of the test. The learner licence must be held for a minimum of 12 months before you can attempt a Q-SAFE Practical Driving Test and move to your Red Ps (provisional P1 licence). On your learner licence, you must complete 100 hours of supervised driving (including 10 hours of night driving between sunset and sunrise). These hours must be recorded in the Learner Logbook issued to you. Driving experience in Australia or New Zealand on an Australian or New Zealand learner licence can count towards your 100 hour requirement if you fill in a Prior Driving Experience Declaration (Form F4450). Driving experience gained in a recognised country on a foreign learner licence can also count towards your 100-hour requirement if you fill in a Prior Driving Experience Declaration (form F4450). This experience can count as no more than 50 hours as it is a requirement that at least 50 hours (including the required 10 hours of night driving) must have been gained on Australian roads and recorded in your logbook. To reduce the hours required to progress to your Red Ps, you can complete professional driving lessons with accredited instructors. For each hour of professional driving lessons (up to a maximum of 10 hours) you receive an additional 2 hours of credit towards the required 100 hours. These hours with an accredited instructor will make you a safer driver, increase your chances of passing the practical driving test and significantly reduce the required hours. By completing 10 hours of professional driving lessons, you will already have 30 hours towards your 100 hour requirement (10 supervised by instructor + 20 bonus hours for professional lessons). This means you will only need a further 70 hours (including 10 hours of night driving). The learner licence must be held for a minimum of 12 months before you can attempt a practical driving test and move to your Green Ps (provisional P2 licence). On your learner licence, you are not required to complete a set number of supervised driving hours. However, it is recommended that you get a similar amount of experience to ensure you are ready to drive independently when you pass your Practical Driving Test. For comprehensive information on the learner licence and Written Road Rules Test, please refer to the Department of Transport and Main Roads website. The above information is a summary of this content and although current when published may now be outdated. To ensure you are accessing the most current and accurate information, use the Department of Transport and Main Roads website or visit your nearest Transport and Motoring Service Centre.